By CorporateEuropeObservatory: The gas industry is currently hyping so-called ‘renewable gas’ and its low-carbon potential. But the industry hype does not live up to reality: this newfound enthusiasm for renewable gas is really an attempt to paint the gas industry green. The result of falling for this dangerous distraction will be to keep all kinds of gas, particularly fossil gas, on the energy menu, and help the industry stave off being rendered obsolete by more climate-friendly renewable energy and electrification. The latest report from the UN’s Intergovernmental Panel on Climate Change (IPCC) calls for deep and urgent emissions cuts if we are to keep average global temperature rise below 1.5°c, which governments signed up to under the Paris Agreement. So can the gas industry, whose primary product is fossil fuels – the very thing driving climate change – really be part of the solution? While industry sees renewable gas as their ticket to addressing climate change while keeping their business model – and their gas infrastructure – intact, the reality is not so clear. If created from truly sustainable, renewable sources, the gases industry claims it can create (hydrogen from excess renewable electricity or biomethane from sustainably-sourced biomass), would still be in incredibly short supply even by 2050. Moreover, producing biomethane unsustainably could lead to the same land-grabs and competition with food crops seen when the EU tried to stimulate biofuel production. So while small potential quantities of renewable gas may be suitable for a few hard-to-decarbonise industrial activities or for local heat and electricity generation, they will fall far short of projected 2050 gas demand. Gas companies are fully aware of this. In reality industry’s core vision is about pumping fossil gas for the foreseeable future, with some small renewable gas capacity giving them a cover of sustainability. Also included under the umbrella of supposed sustainability is what industry calls ‘decarbonised’ or ‘low-carbon’ gas, which is fossil gas that in the future will possibly – through unproven, experimental and extremely expensive technology – have its CO2 emissions captured (known as carbon capture and storage technology). For all its green talk, the gas industry’s basic plan is to continue extracting and transporting fossil gas, building new infrastructure and transferring large sums of public money into corporate wallets in the process, rather than making the urgent shift in energy infrastructure now. This spells disaster not just for the climate, but also for communities and ecosystems all along the gas supply chain. So-called ‘renewable’ gas and its ‘low-carbon’ bedfellows are therefore a dangerous distraction, a false solution engineered by the gas industry to keep itself in business but utterly inconsistent with the “rapid and far-reaching transition” demanded by the IPCC. The gas industry is not going to plan for its own demise, which makes it imperative that governments do so, and in a way that protects workers. 1 It’s convenient for industry to talk about renewable gas alongside green, clean, decarbonised, low-carbon, or just plain ‘natural’ gas, mixing definitions. This hides the true impact and also sneaks fossil gas under the ‘renewable’ label. Truly renewable gas is hydrogen from excess renewable electricity or locally produced and small-scale biogas made from sustainable biomass. 2 Industry’s version of renewable gas is unlikely to be carbon neutral when you examine how it’s actually produced, and could even drive deforestation and land-grabbing. 3 The potential for sustainable renewable gas production in the EU is a fraction of what industry claims. 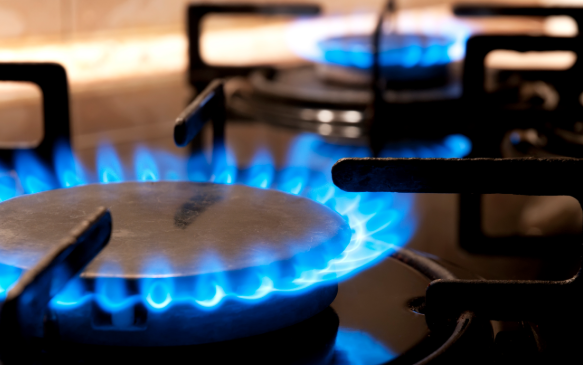 It will never substitute current fossil gas use, and is estimated to meet just seven per cent of today’s gas demand by 2050. 4 Industry claims any non-renewable gas demand will be ‘decarbonised’ in the future, but the carbon capture and storage (CCS) technology needed is still not technically or commercially available. 5 In search for new markets the gas industry is pushing for (renewable) gas to be used in transport. But transport is electrifying, and this unnecessary push has been labelled “an unrealistic attempt to greenwash the use of gas”. 6 Europe is unlikely to sustainably produce significant quantities of renewable gas, so despite industry claims, it will not provide energy security. Either the EU keeps its neocolonial mantle and imports it instead of fossil gas or, more likely, imports more fossil gas claiming to be able to decarbonise it. 7 Developing renewable and decarbonised gases is expensive, despite industry promises of savings. And if they turn out to be a dangerous distraction that slows efforts to tackle climate change, the EU’s current bill of €14bn per year to deal with its impacts will rise dramatically – paid for by taxpayers, not the gas industry.